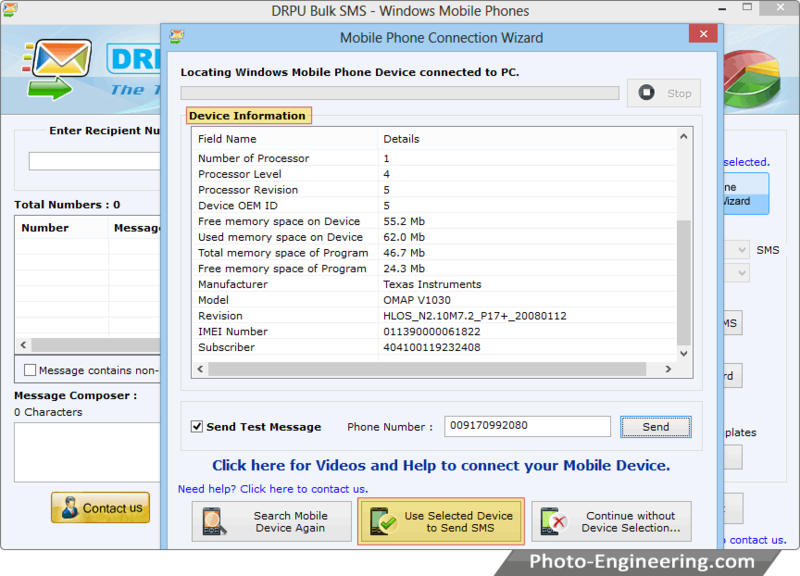 Go to Mobile phone connection wizard to connect your mobile device with software. Connected device information is displayed. 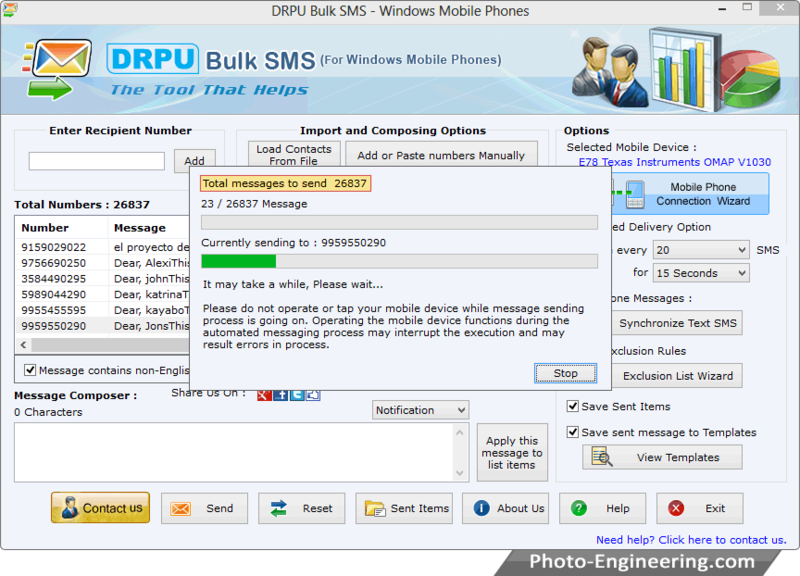 Click on ‘Use Selected device to Send SMS’ to proceed. 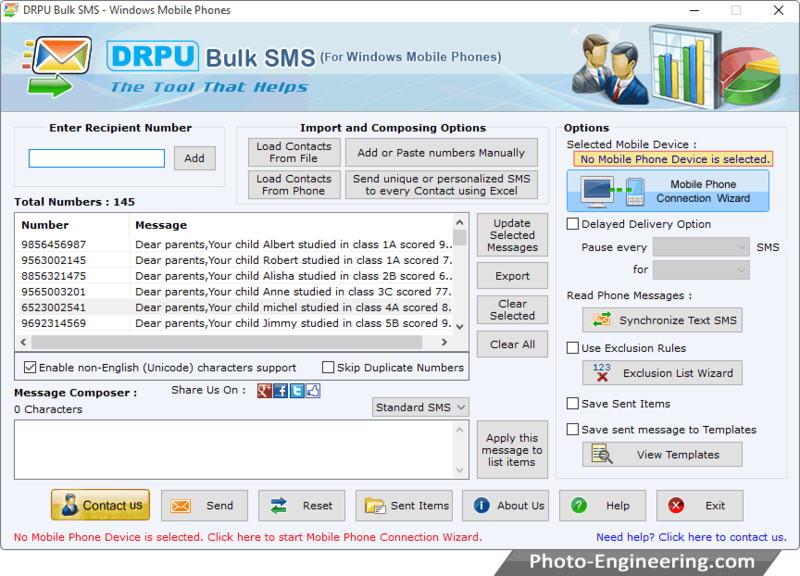 Using Import and Composing Options , You can load contact numbers. 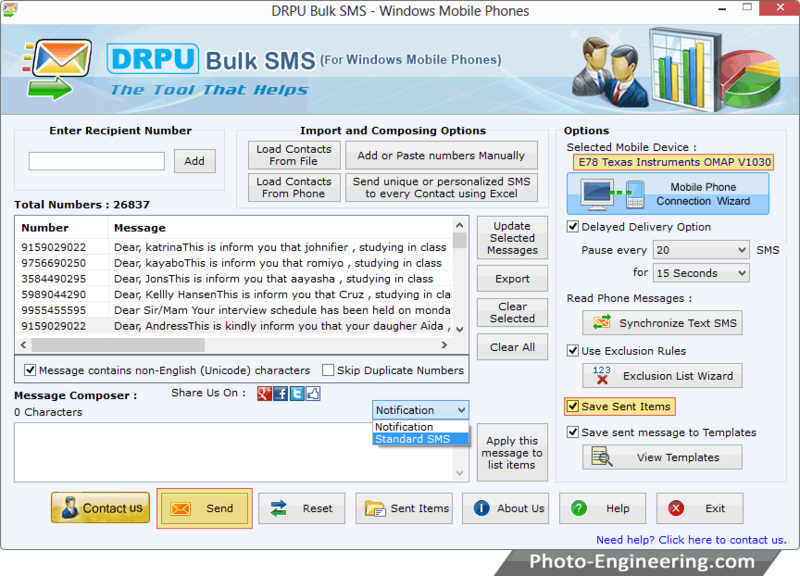 Choose Notifications or Standard SMS and then click on send button.